Clever as always, but not one of her best. I think the Barnes side of it all was a bit too much, I'm not sure. 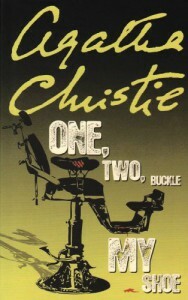 But still, Agatha Christie is brilliant as always, in intelligence and wit. As always (with me anyway) I couldn't guess who it was for the right reasons, but I never really try to anyway. That is the beauty of these books, you're taken along for the ride, nearly as clueless as everyone else.